You checked the report and confirmed it: your email unsubscribe rate is creeping up. You noticed it rising slightly in the past few months, but it’s really starting to get out of hand. What do you do? One thing you can’t do is ignore it. 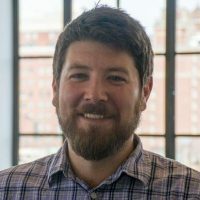 A high unsubscribe rate can seriously hurt your reputation as a sender and could even impact your ability to hit the inbox. If it goes on for long enough, a high unsubscribe rate could affect your email conversion rates and even impact overall revenue. But you’ve caught it in time to fix it. You know your unsubscribe rate is increasing, and you know you have to do something to intervene. But what? If your buyers are tired of hearing from you via email or are not interested in your marketing efforts, you can make specific changes to improve engagement. In this blog, I’ll show you how to implement new tactics to improve your email marketing and slow down your unsubscribe rate. If your unsubscribe rate keeps climbing, it may be because you’re not delivering relevant or timely messages to your audience. Studies have shown that 50% of consumers unsubscribe from an email list due to irrelevant emails. Ecommerce buyers will often unsubscribe when a particular email pushes them over the edge to annoyance. It could be that a message is particularly unhelpful or is far off the mark for your buyers. It’s up to you to make sure that you never send an email that drives any of your buyers to unsubscribe. Segmenting can be much more than just sending out emails to specific demographics like age and gender. You can drill down to create more specific segments based on the customer lifecycle and buyer actions, decreasing the chances that your buyers decide to unsubscribe. And while segmentation can help ensure that people are getting the most relevant content, it’s just as important to make sure they’re NOT getting content that isn’t relevant. In fact, with proper segmentation, it’s not uncommon to send fewer emails to each customer. In addition to better segmenting your audience, you can use that same customer data to personalize every email you send out. Research has shown that buyers respond positively to personalization in email marketing. In fact, personalization can reduce acquisition costs by up to 50% and increase the efficiency of marketing spend by 30%, according to McKinsey. This type of action-driven personalization can really drive email results and offers more relevant messaging to your buyers. A single unsubscribe could mean a loss of 60% in future lifetime value. But when emails are personalized, the average click-through rate is 2.5 times higher. Instead of missing the mark with your emails, personalized messages will make your audience feel as though your emails are actually adding value, rather than wasting their time. If buyers are still continuing to unsubscribe, it may be that you’re simply sending out too many emails. If your audience feels like you’re sending a deluge of messages, they may unsubscribe just to clean up their inbox. In that case, you have to decrease the number of emails you send. But how do you do that without losing engagement and missing out on important customer communication? It’s simple: instead of communicating everything through email, try out alternative channels. For example, web or mobile push can be an easy and simple way to drive conversions on your website outside of email. 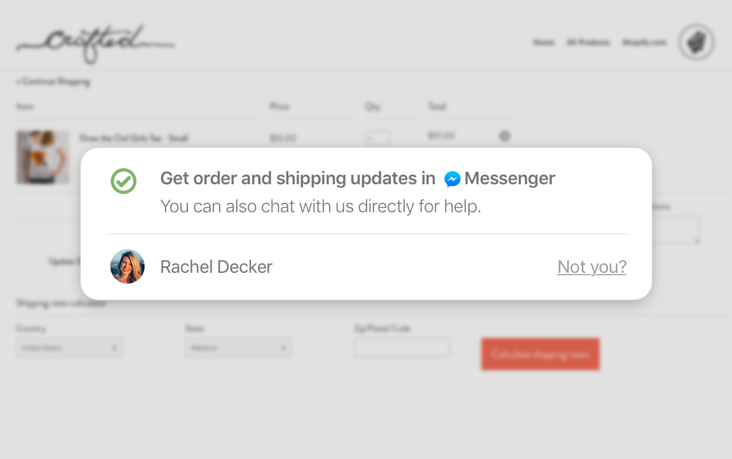 And instead of sending emails for transactional communications like order confirmation or shopping information, try push messages or Facebook messenger for ecommerce. That way, instead of sending 5 emails to a customer in one week you can send 3 emails and 2 web push messages. This feels far less invasive to your buyers, while still allowing you to communicate what you need to. Email should be used carefully and cautiously by any brand. While your buyers may have opted in, that doesn’t mean they won’t decide to opt out if you abuse their trust. If you see your unsubscribe rate climbing, it may be time to reevaluate how your brand uses email. By combining segmentation, personalization, and alternate channels, you can improve email engagement and control your unsubscribe rate. How have you dealt with rising unsubscribe rates in the past? How might you change your approach in the future? I’d love to hear your thoughts in the comments.